I now understand why they call it a keynote speech, it’s the speech that opens the door to many opportunities especially when given at a summit, none other than the Thought for food Global summit. 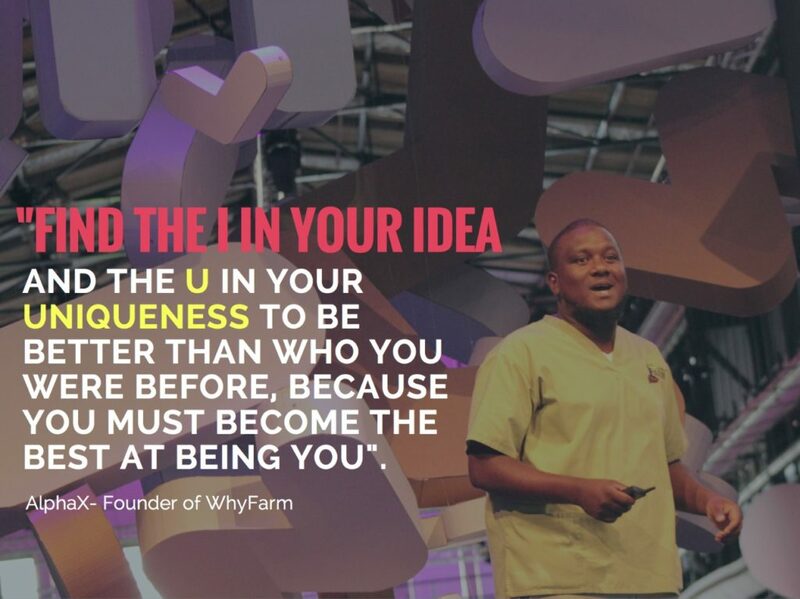 When the founder of Thought for food humbly wrote me and asked, if I would be willing to deliver the closing keynote address, I literally pinched myself to ensure I wasn’t dreaming. I asked myself me? Why me?, how me? 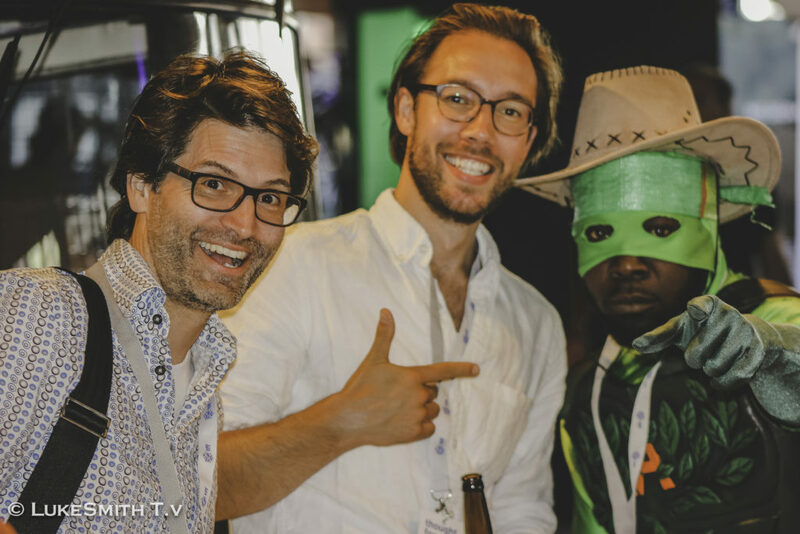 wasn’t this the same talk that Peter H. Diamandis (founder of Singularity University) did at the summit in Lisbon, Portugal 2015 and Marquise Stillwell (founder of openbox) in Zurich, Switzerland 2016? Then we have Alpha Sennon (Founder of WHYFARM) in 2017, sounded well but was I ready? Clearly the Thought For Food Foundation thought I was. 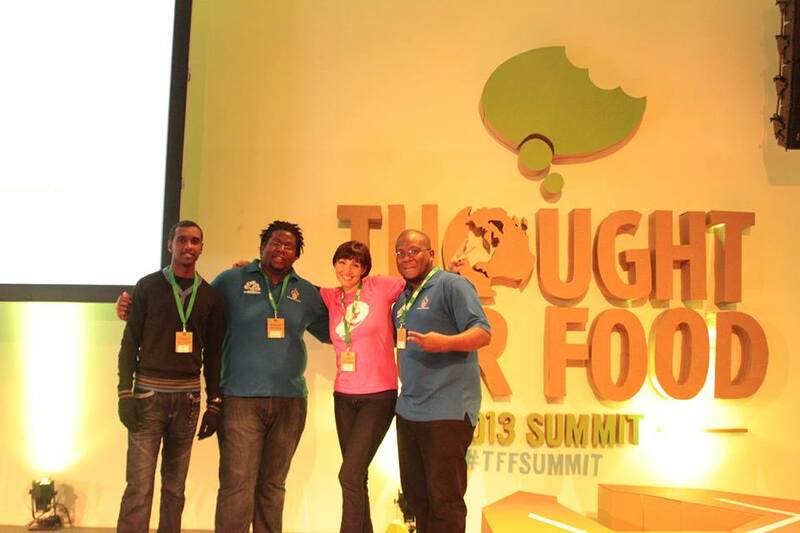 Off course I answered yessss with a degree of excitement, nervousness and uncertainty but was ready to make the best of the opportunity, especially since TFF founder said to me that the closing keynote is the biggest talk of the summit. This conversation took me back to the first time I heard about Thought For Food in 2013 which was confusing at the time because, I was accustom to hearing Food For Thought and not the other way around. A group of students including myself from the University of the West Indies St Augustine campus, Trinidad and Tobago saw the TFF challenge online and decided to tackle it. We had a narrow crappy idea about collecting food waste and redistributing it to people in need using a hunger profile. It didn’t secure us a place in the finals but the TFF community decided to invite us nevertheless. Three of our five teammates took up the offer and with support from our faculty at the university we were on our way to Berlin, Germany. I remembered my first experience entering into the summit venue in Berlin, I was immediately blown away by all the designs made from cardboard, we all sat on cardboard seats and it was out of this world. Mr first impression from talking to persons attending the summit was like what are they doing here? or is it that I’m in the wrong place? I met young persons studying ‘Mathematics’, some studying ‘Architecture’ others ‘Engineering” and others were like ‘ Computer designers” and I wondered how are they going to feed the world? 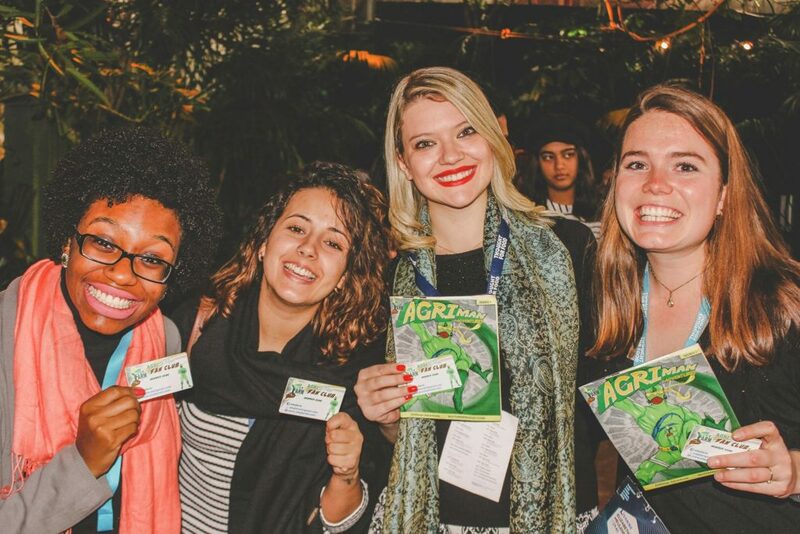 Expecting to only hear persons studying, food, agriculture, nutrition or science, the TFF summit rocked my world and changed my thoughts forever. The idea and thoughts about feeding 9 billion people by the year 2050 was completely new to me. Only after hearing some lightening talks that lighted up my heart and some keynote speeches that thrilled and raised my pores, I started to think differently about disrupting the food and nutrition sector. As my friend and colleague Mr. Luke Smith quoted in his blog article via LukeSmithTv after attending the summit “We sat down on cardboard boxes and were motivated by speakers from different sectors to think outside the box and uproot the status quo.” There was a speaker that went beyond thinking out the box but actually destroying the box when coming up with disruptive innovations. A buzz word at this summit was “ Collaboration” in order to solve the food challenges we face it must take various fields coming together and working together to achieve one common objective; solving hunger and malnutrition now and in the future. After witnessing 5 amazing pitches by students from across the globe with the winning pitch being Henlight from the University of California-Davis led by Mr Edward Silva with their solar powered LED light that stimulates consistent egg production in chickens during periods of shorten daylight. 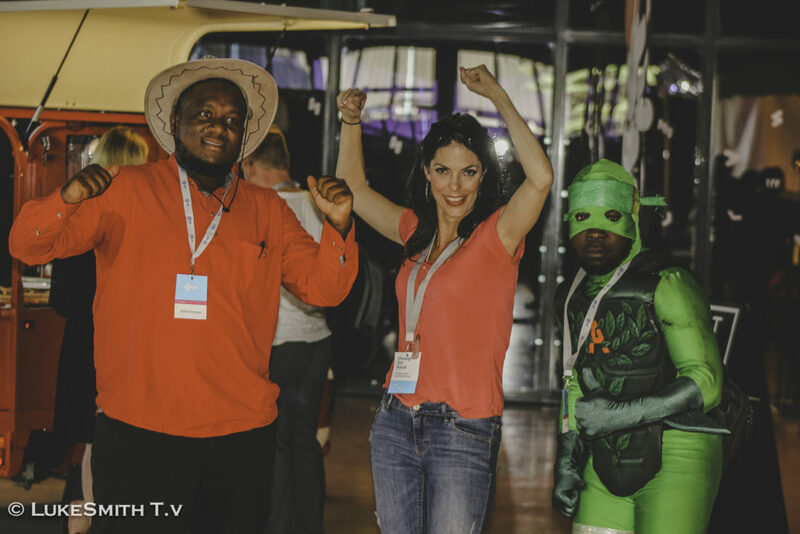 After this experience I had no doubt that I wanted to be apart of this community, so I immediately rushed at the opportunity to become a TFF Ambassador to promote the Thought for Food challenge around the Caribbean. Not until, I attended the summit in Zurich that was beyond life changer. The energy and enthusiasm will never go away. Especially when you’re given the opportunity at the summit to pitch and deliver your innovation to other innovators, investors, students and policy maker. 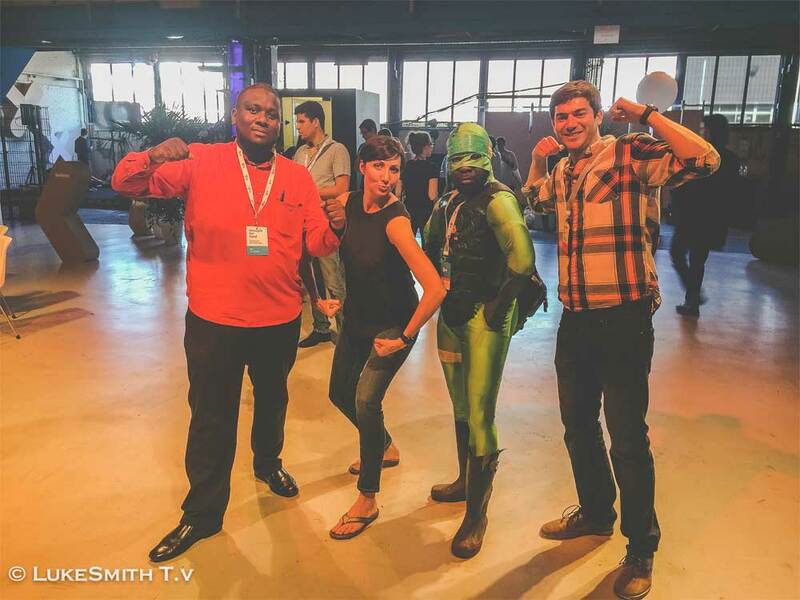 About a Farming Superhero and the development it could bring to youth in Agriculture. Answer was the TFF inspiration in Berlin, then Lisbon now Zurich was my input supplier. The lightening talks by brilliant innovators on April 1st. My take home leson was to be ridiculously efficient with everything I touch. When I grow future feeders and end hunger and malnutrition someday. You mean a lot to me I would never forget you never never. 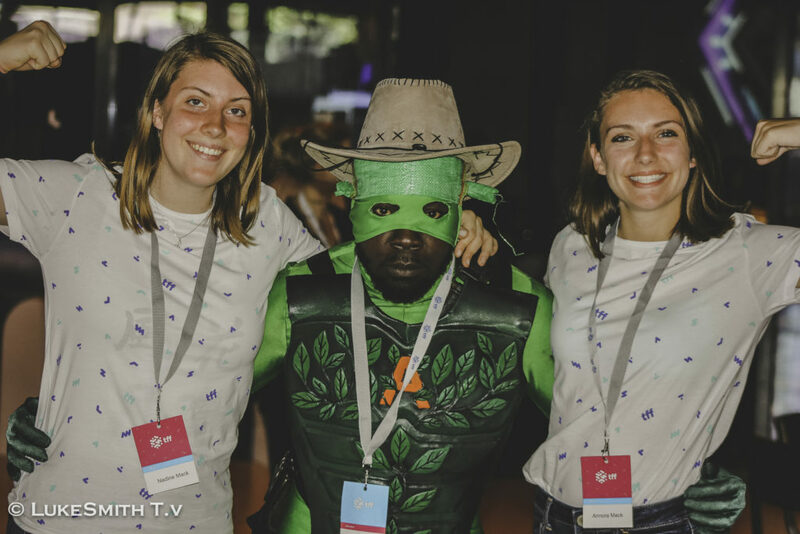 I remembered sitting in the audience for the 2015 summit in Lisbon and thinking one day I will be up on the stage giving a speech to the community about AGRIman. I had no idea it would be this soon, nor did I think it would have been delivering the closing keynote speech. 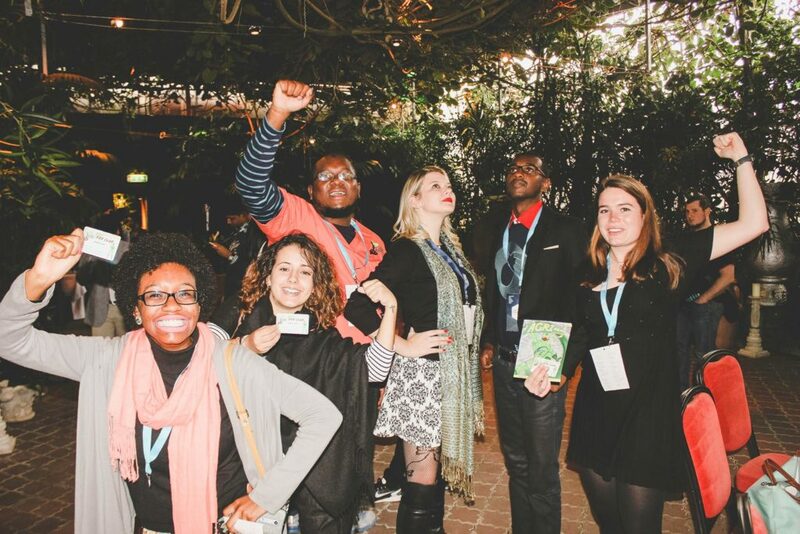 Nor did I thought that the fictional character that I created in my mind in 2015 would also be invited to attend a real world summit in Amsterdam. 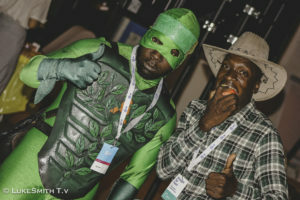 Of course this wasn’t fiction but a reality for the first time there is Food & Nutrition Security superhero. The things that some people would call lucky, one of my mentors Mr Steve Maximay, describes luck as opportunity meeting preparedness. Was I prepared for this amazing opportunity to close of the summit on whats next in food and agriculture? 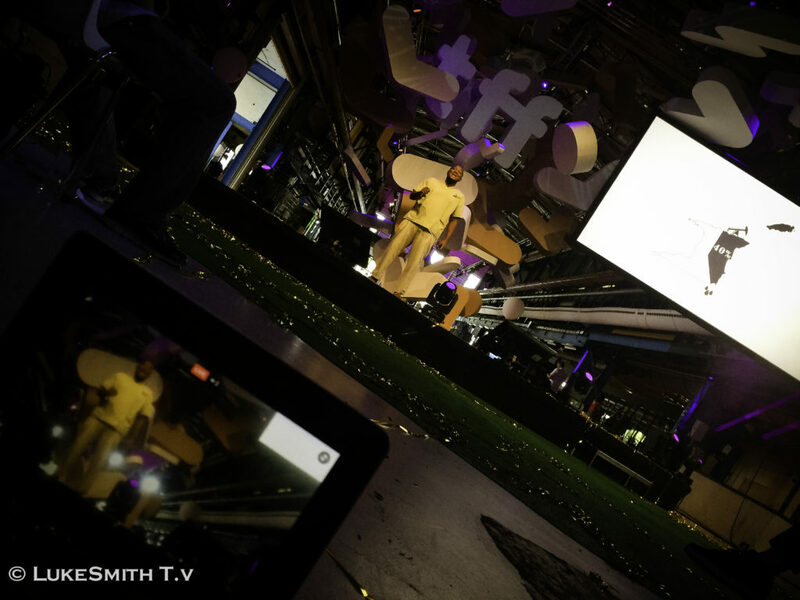 After witnessing amazing keynote speeches from earlier speakers and incredible breakout workshops from food enthusiasts, scientist, communication specialist, entrepreneurs, then 10 fiery pitches from the finalist teams, the road was paved for me to deliver an inspirational speech unlike no other. After having the one and only Ms Holley Murchinson, founder of Orator Glory introduce you to the stage, you have no choice but to run up there with high energy and explode. Honestly if I didn’t know better I would have thought I was at a rock or reggae concert and maybe I was the feature performer. There was screams and shouts in support of AGRIman. As the audience kept cheering and looking on in amazement, waiting to get more of the story, I felt overwhelmed but full of joy and passion to be able to share. I took the audience through my journey as a child not liking agriculture and eventually growing up to develop an overwhelming passion for food and nutrition. With the introduction of a superhero adventure for food and nutrition encouraging children to grow a passion from an early age and not wait till they are old. This reminded me on the stage, the fact that a simple idea can change the world or inspire others to do so. As I looked on and saw some of my team Members in the audience, I surely remembered how important people are to you in achieving those goals. You simply cannot do it alone. When AGRIman was invited on the stage the roars and cheers kept coming. I believe at that point the summit was able to recognize the opportunity that WHYFRM created to develop and grow future feeders that would feed our world by 2050. I reflect more and more about what I shared on stage, especially the part about my team and I have not raised any funds at this point in time, however what we’ve raised are person’s passion. 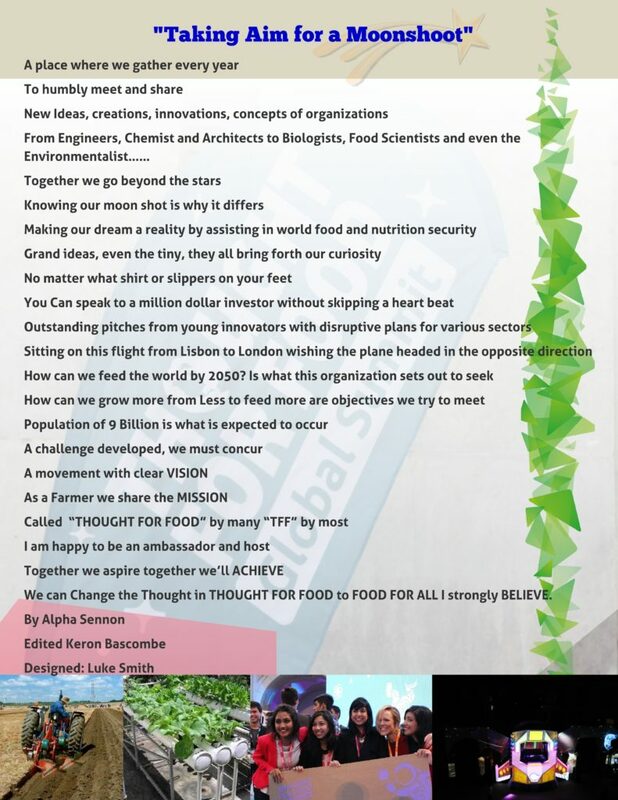 A passion to want a food secure world, a passion to contribute towards a world free of hunger and malnutrition, a passion to care about who is going to feed us in the future and sincerely consider the 9 billion population by the year 2050. Observing the first day of fasting for the month of Ramadhan, while giving the talk was an absolute blessing as it truly connected me to my creator to say the right words and I was reminded that there are people around the world who DO NOT have food, not by choice but by circumstance. I reminded persons that the one thing they will surely be the best at is themselves by being 1 in 7.3 billion and not 1 in a million. As I prepare this article, I asked myself what was my take home from the summit this year and the answer was right in front of me ~me ~a better me, a me that Will not ask #whatsnext but will create what’s next. A me that will be ridiculously efficient in all that I do. A me that will continue to have a thought placed into action for food and a me that will continue to use whatever resources I have to create opportunity for myself and others. It is with all hope and honesty that via my speech persons would be able to have a thought for food and eventually turn that thought into action. On behalf of WHYFARM, we send a sincere thanks to the Thought For Food Foundation for inviting AGRIman to the summit and inviting me to be the closing keynote speaker at this year’s summit. I came from being a humble ambassador to a humble closing keynote speaker. The only summit better than this year’s summit is the next year TFF summit.